1. First ensure that you have created a Channel and that you have a Playlist assign to this Channel. 2. Next located the Channel you wish you to assign you page or collection with. 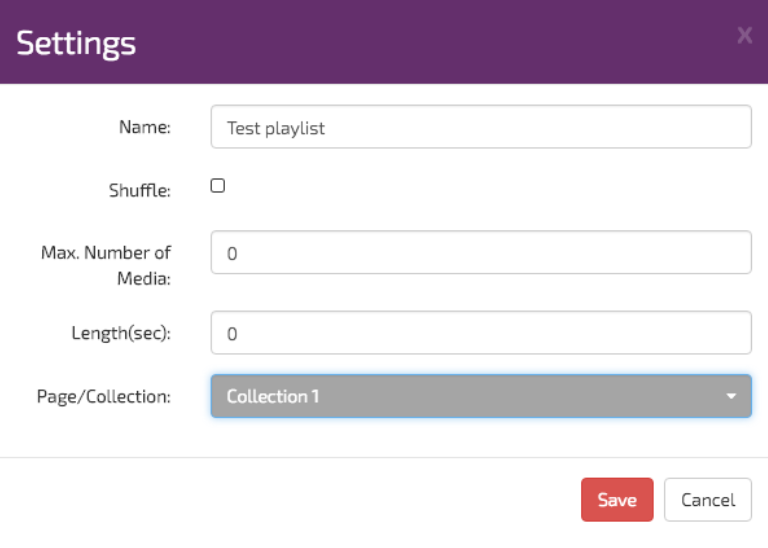 Remember Channel playlist content will play in the Channel content area that you added to your Page or Collection. 3. To assign your Page or Collection, place your mouse over the Playlist thumbnail. The thumbnail will reveal some icon as below. 5. The Playlist settings box will open. At the bottom of this settings box you will see the Page/Collection drop down menus. Use the drop down menus to located the Page or Collection you wish to add. In this example I have selected my Collection 1 , page collection. 6. Once the settings windows has closed done don’t forget to Publish your settings. After a short time your new page or collection will start to play.